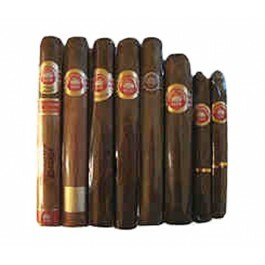 This H. Upmann cigar sampler includes the following premium H. Upmann cigars: 1 H. Upmann Vintage Cameroon Corona, 1 H. Upmann Cedros Corona, 1 H. Upmann Reserve Corona, 1 H. Upmann Corona Major, 1 H. Upmann No. 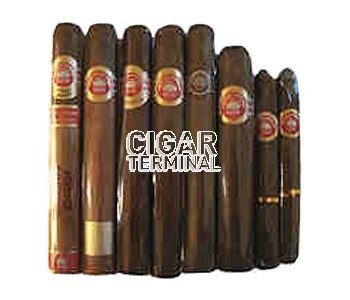 10, 1 H. Upmann #100 Robusto, H. Upmann Churchill, H. Upmann Corona, and 1 H. Upmann Legacy Corona. This H. Upmann cigar sampler includes the following premium H. Upmann cigars: 1 H. Upmann Vintage Cameroon Corona, 1 H. Upmann Cedros Corona, 1 H. Upmann Reserve Corona, 1 H. Upmann Corona Major, 1 H. Upmann No. 10, 1 H. Upmann #100 Robusto, H. Upmann Churchill, H. Upmann Corona, and 1 H. Upmann Legacy Corona. Note that individual cigars included in our samplers may vary from time to time based on availability. Any different H. Upmanns included will always be of equal or greater value.